The National Shooting Sports Foundation (NSSF)’s 2019 Shooting, Hunting, and Outdoor Trade (SHOT) Show returns to the Sands Expo Center in sunny Las Vegas from Jan. 22 through Saturday the 26th this year, bringing the latest in shooting and outdoor sports technology to more than 70,000 visitors. What’s New at This Year’s SHOT Show? Whether you’re a member of the military who’s interested in the latest firearm technology or a shooting range owner who wants to make sure your customers have access to all the latest ammunition and safety gear, the SHOT Show probably has something for you. Just a few of the products highlighted in this year’s previews include adhesive pocket gun holsters, the newest concealed-carry weapons, and tactical gear like infrared and night vision goggles. Sticky Holsters, one of the leading manufacturers of smooth-draw holsters, is releasing its new “Thin Blue Line” holster. A portion of the proceeds from each sale goes to benefit a charitable organization called Concerns of Police Survivors. Standard Manufacturing’s newest revolver has two barrels and can simultaneously fire two rounds, although it’s not classified as a “machine gun” under federal law. Photonis’s 4G Image Intensifier Tubes can intensify night vision by up to 40 percent. These vendors and thousands of others are ready to show off their innovative wares to the audience that will appreciate these products the most. 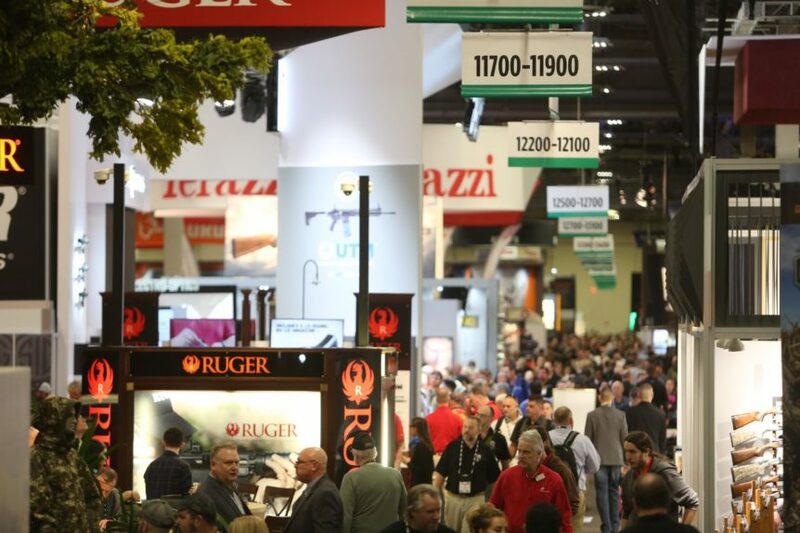 Because the SHOT Show encompasses so many vendors and product types, it’s important to have a plan in mind before you head over for your first day. The Show’s website has a comprehensive list of vendors and booth locations, so you can identify the ones that pique your interest. It’s also good to keep in mind that with tens of thousands of expected attendees over five days, parking will be limited and traffic around the convention center will be heavy. Give yourself plenty of time to get in and out each day, or even consider staying at a nearby hotel so you can just walk straight to the Show. The RRDS team will be in attendance at this year’s show. To book an appointment with us, email us.